Did you know your toddler is a better learner than you? It may sound strange, but it’s true. At two years old, a toddler has 50% more synapses than an adult. Synapses are the pathways that share information in your brain, making it easier to process and store information. They’re especially important during this stage of your toddler’s development as they learn to speak. Of course, it’s only natural for parents to wonder how their toddler’s development compares to the norm. That’s why I’ve outlined the key language milestones to watch out for below. But don’t worry if your child is taking slightly longer to reach each stage. Every child is unique. They learn at their own pace and they will get there eventually. 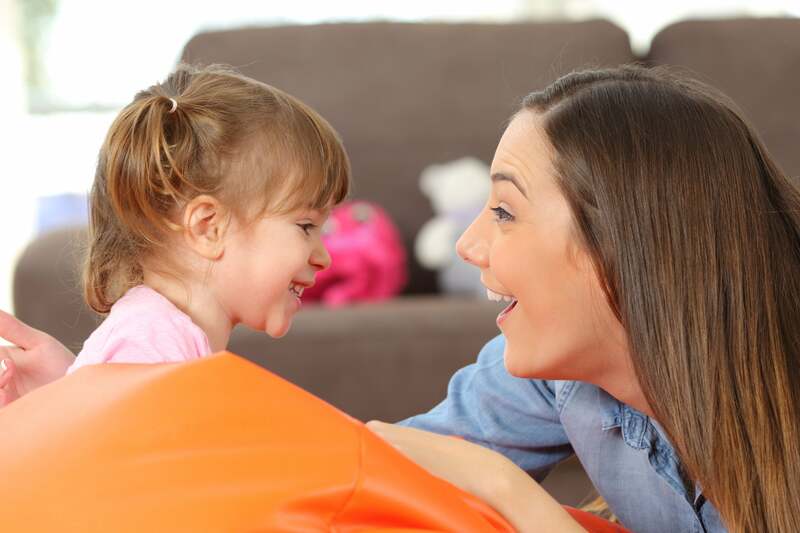 Nothing compares to the joy you feel when your toddler speaks for the first time.This is where your child’s journey with language really begins. Around this age, they’ll start to use very basic words like ‘mama’ and ‘dada’. Your child is taking in more and more new words. They’ll probably use between 6 and 10 words regularly, but their passive vocabulary could include up to fifty. They may also have started changing the intonation of their voice to ask questions. By this stage, your toddler will happily babble and chatter away to themselves. It’s fun to listen to, but don’t be surprised if you don’t understand much of what they’re saying. Their vocabulary is growing though, and they could be using up to 50 words by now. They’ll also have started speaking in short phrases. Plus, they’ll start to enjoy nursery rhymes and silly songs – they may even sing along! Pronouns are still hard to grasp, so they’ll probably avoid them when talking. You’ll really notice the difference in your toddler’s development by this point. They’ll know around 300 words, have started using pronouns and will speak in short sentences. So you should be able to have some simple conversations with them about what they’re doing and what they’ve done in the past. Be warned: three-year-olds are inquisitive! They’ll ask lots of questions about what things are and why they’re like that. You’ll need patience to answer their endless questions, but it’s really rewarding to see your kid’s knowledge of the world grow. They’ll also have learnt the all-important word ‘no.’ Expect them to use it often, especially in a tantrum. By this stage, your toddler’s language skills will have really grown – they could have up to 10,000 words in their passive vocabulary. You’ll start to feel like you’re having a real conversation and can use more advanced words. Between six and seven years old, your child’s brain will start working more like an adult’s. This means it’s more difficult for them to learn new languages and expand their vocabulary. 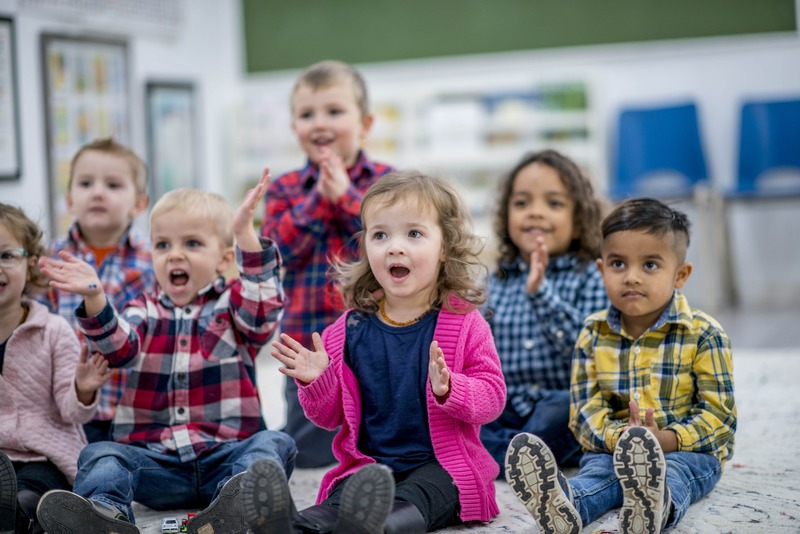 It’s usually around this point (or later) that kids start learning a second language in school, but by this stage they’ve already missed the golden years of a child’s language development. The infrequent nature of school lessons will make it more difficult, but of course not impossible, for them to learn. Will a second language confuse my toddler? In a word, no. Your child’s brain is so elastic that, after an initial period of absorption, they’ll be able to learn both languages side-by-side without confusing them. By starting early, they’ll find it much easier than if you wait until they’ve gone to school. There are other benefits, too. For example, bilingual people are better multitaskers and can concentrate more easily. They have healthier, stronger brains and in the long run, being bilingual can even boost their career prospects. So, when’s the best time for your kid to start learning? We recommend between two and six years old. At two, they’ll know just enough to get started – and they’ll learn quickly. At six, learning a language becomes less natural and more difficult. That’s why at Lingumi, our educational games and teaching methods are developed specifically for kids in this magic window. If your child is between two and six and you’d like them to learn English, why not try Club Lingumi today? You’ll be amazed at how much it can help your toddler’s development. How much will it cost for my child to learn English?